Not Your Sunday Times: iPhone coming to Verizon? According to The Wall Street Journal, "Apple Inc. plans to begin mass producing a new iPhone by the end of 2010 that would allow Verizon Wireless to sell the smartphone early next year,' said people briefed by Apple." Apple fans have been waiting for the worlds most popular smartphone to disseminate to other wireless providers since its launch in January, 2007. Buzz has been building that Verizon would be the next network to carry the iPhone since word went out that Apple decided to use Qualcomm Inc. to supply CDMA technology as an alternative wireless technology for non-AT&T iPhones. 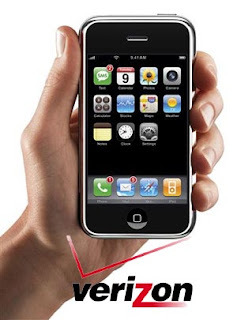 No official word has come from the notoriously secretive Apple about whether or not they will be launching a Verizon iPhone in the first quarter of 2011... but having the Journal getting into this conversation is certain to stimulate the rumor mill even more.